So how do we control food sources available to pigeons? What type of food will pigeons usually exploit? Feral pigeons need very little food in order to survive, but why do we still have such huge flocks worldwide when pest control companies kill millions of pigeons every year in control operations? What deterrents are there that will offer complete protection for a property upon which pigeons are either roosting or breeding or both? I have a problem with pigeons – where do I start? 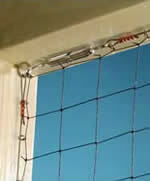 I have been told to protect my property with nylon bird netting – is this the best option? The common misconception is that pigeons are sustained on scraps of food courtesy of people littering, people sharing their lunchtime sandwich in the park or as a result of poor housekeeping on the part of fast food restaurants. This is incorrect, at least in part. Pigeon populations are sustained, almost exclusively, by deliberate and persistent feeding on the part of a small number of individuals, normally elderly or single people; this single act should be seen as the root cause of most pigeon problems. These people will go out 7 days a week to feed pigeons and they will not only feed extremely high quality food, such as grain and corn, but also very large quantities of it. In the city of Melbourne, Australia, one gentleman arrives in the city centre each day and brings in 40 kilos of prime pigeon food, which he proceeds to distribute at 4 highly sensitive locations within the central business district of the city. 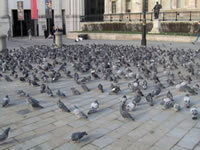 As a result the city centre flock, numbering many thousands of pigeons, exploit this food source each day. Based on the British Pigeon Racing Association figures an adult pigeon can survive on 13 grams of seed each day and therefore, using these figures, 40 kilos of seed could potentially sustain over 3000 pigeons. When taking into consideration that this food is provided by only one of the many daily feeders in Melbourne it comes as no surprise that pigeon flock size is as high as it is. In the main this is the preserve of town and city councils as they are the only bodies that can be a catalyst for an area-wide pigeon control system. If you feel that you have a general problem in your area you should start by protecting your own property with deterrents. This must always be the first step. Councils may be able to deal with the root cause of the problem, available food, but they cannot and will not become involved in the protection of private property. In order to ensure that the problem is dealt with at source, however, you should contact your local council and ask them what they are doing to resolve the problem of available food and the issue of deliberate and persistent public feeding of pigeons. Many councils are reluctant to become involved with issues relating to the control of feral pigeons but they have a legal obligation to do so, certainly if problems have become entrenched and if there is a potential health and safety problem. outlets, retail food outlets, granaries, ports where foodstuffs are imported/exported and grain silos. Pigeon flocks rarely if ever feed in rural areas (exploiting crops in fields) but when food is in short supply in urban areas some birds may resort to exploiting this food source. When flocks of pigeons are seen feeding in agricultural areas these birds are most likely to be domesticated racing pigeons and not their feral cousins. This is because pigeon flock size is dictated, absolutely, by available food. When pigeons are killed during pest control operations the culled birds will be replaced within a matter of weeks as a result of rejuvenation. In fact, scientific research has shown that when culling is used as a method of control pigeon flock size will, in most cases, increase above and beyond the pre-cull figure, resulting in exacerbated problems for property owners, rather than the reverse. In situations where the food supply remains constant pigeons will breed 4-6 times a year on average (in optimum conditions pigeons can breed more frequently), producing two young each time. If, however, the food source is reduced pigeon numbers will drop accordingly. Pigeons will not breed if they are unable to exploit enough food to feed their young. Therefore, it is clear that many of the methods employed to control pigeon populations are not only ineffective but they are likely to increase pigeon flock size. The most commonly used pigeon control worldwide is culling which is, alongside persistent and deliberate public feeding, the largest contributory factor to the growth of pigeon flocks worldwide. and bird exclusion devices available and yet it is often the least expensive product that provides the most comprehensive protection. Nylon bird netting is another industry standard product, but it is extremely expensive to have installed (and in a majority of cases it must be installed professionally) and it may only continue to be effective for 5-10 years. 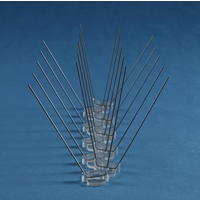 Anti-roosting spikes are one of the cheapest anti-perching products on the market, they can be installed by the layman and they will remain effective for up to 30 years. important to remember that pigeons breed all year round and therefore there will never be a time when you are safe to install deterrents without first surveying the area to ensure no dependent young are in situ. Although the height of the breeding period is usually throughout the months of March through to October, it is not uncommon to see pigeon squabs in nests in mid-winter. For further detailed information on how to undertake a survey of your property and how to install deterrents please see the DIY Controls discussion document. In each case the source of the problem needs to be resolved as it is impossible to protect the tiles of a roof, although the gutter, ridge tiles, chimney breast and chimney pot can all be effectively protected. Some contractors advise the use of nylon bird netting for this purpose but netting rarely resolves the problem, it is extremely expensive to install and can degrade very rapidly when provided at roof height. Yes, anti-roosting spikes are ideal for this purpose. The spikes are best installed by using an electrical cable tie wrapped around the base of the spike and then around the aerial itself. This will ensure that the spike cannot slip around and end up facing downwards. 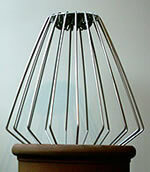 Although stainless steel spikes are unlikely to interfere with the TV signal when installed on an aerial it may be wise to consider a plastic spike for the purpose. One UK manufacturer of anti-roosting spikes - Jones and Son Ltd offer an ingenious kit to protect TV aerials which includes all the different fixtures and fittings that will be required to protect virtually any type of TV aerial. is opened the spikes move outwards as the window does. Silicone should be used to attach the anti-roosting spikes to both the windowsill and the window frame, but if the window frame is wooden they can be screwed in place as well as, or instead of, using silicone. It is not common for pigeons to nest in a gutter unless it is well protected from the elements. It is possible, however, particularly in guttering on period properties with large, wide cast iron gutters. This problem is simple to resolve using anti-roosting spikes in conjunction with a special gutter clip. The anti-roosting spikes will not only stop pigeons nesting in the gutter but also stop pigeons perching on the lip of the gutter and fouling the fascia of the building. A version of the post and wire system will often be recommended by contractors, but this system is prone to failure and will not stop nesting taking place in the gutter itself. galvanized steel mesh is an excellent alternative. Galvanized steel mesh is as cheap as nylon netting but remains effective for considerably longer, although the product will not be suitable for the protection of large areas due to its weight. 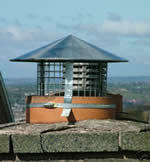 Pigeons do not nest in chimney pots but other species of birds do – jackdaws in particular. The easiest means of ensuring that nesting does not take place next year is to install a chimney cowl on your chimney pot. This product is cheap to buy and can be installed in minutes. Always be sure to carry out this installation once the breeding period has finished. 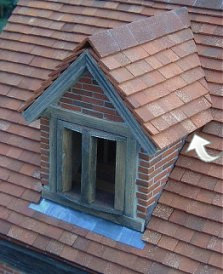 Another option is to permanently block the chimney pot, assuming that it is no longer in use, with a chimney cap. This product, like the chimney cowl, is inexpensive and simple to install. Yes, anti-roosting spikes are ideal for this purpose but be aware that pigeons rarely if ever roost or nest on ground floor windows, so the areas to be protected will almost certainly be either upper floor windowsills, architectural features or exposed pipework. Pigeons will normally choose the highest point on a building to roost or nest and that should always be the first area to investigate. 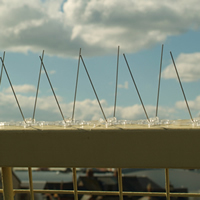 Anti-roosting spikes can be installed directly onto a windowsill or any other surface with silicone gel, but if protecting pipework an electrical cable tie should be tied around both the pipe and the base of the anti-roosting spike to ensure that the spikes do not slip around and end up facing downwards. It is extremely likely that pigeons are roosting on external pipework on the side wall of the house. Either this or possibly on a small overflow pipe. 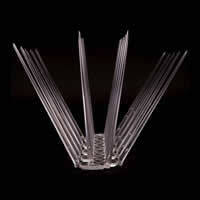 Anti-roosting spikes can be easily installed on the pipework to resolve the problem. 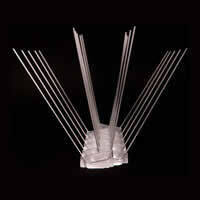 A special ‘pipe spike’ should be used for the protection of pipework. The pipe spikes should be installed by running a bead of silicone gel along the top of the pipe and then pressing the base of the pipe spike into this. An electrical cable tie should then be wrapped around the pipe itself and the base of the pipe spikes to ensure that the spikes do not slip around and end up facing downwards. If there is no exposed external pipework on the side of the house it is likely that the birds will either be roosting under the gable on one of the roof joists that protrude through the brickwork (and support the roof overhang) or within the roof space itself or possibly within the soffit. 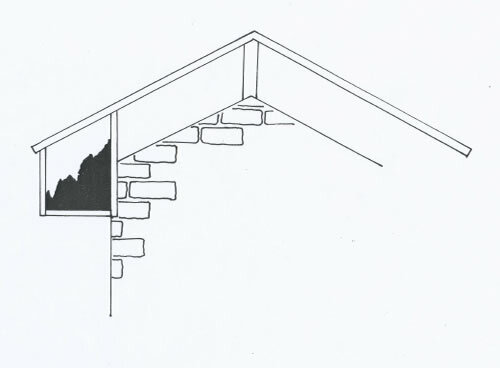 The areas under the gable can easily be protected using anti-roosting spikes, but if the birds have entered the roof space itself the entry hole must be found and blocked once a thorough survey of the internal roof void has been carried out to ensure that there are no live birds or nests in situ. The same applies if birds have entered the soffit. It is likely that pigeons have found a hole in a soffit (the box section that runs under the gutter the full length of the house) and are using the space for nesting and roosting. The entire length of the soffit board must be inspected to ensure no live birds are present, with particular attention to young birds in nests, and then the soffit board must either be removed and replaced or repaired. As older wooden soffits are constructed with a series of sub-dividers throughout each span, preventing a clear line of sight down the soffit, it will be necessary to inspect each sub-division to ensure that no nesting birds are in situ. In many cases the only way that this can be achieved is to remove sections of the soffit at intervals and carry out a full inspection. If you suspect that there are pigeons in situ, or if you find nests, you should contact a local wildlife rehabilitator in your area who will humanely remove the pigeon squabs (pigeon chicks) and take them away to be hand-reared and eventually released. A list of wildlife rehabilitators can be found at: http://www.veggies.org.uk/acd/europe/uk/rescue/rescue.htm. Yes, pigeons often roost or even nest under the overhang created by the gutter on a dormer window. First check to ensure that there are no live birds or nests under the overhang and then simply install anti-roosting spikes directly to the lead flashing running down each side of the dormer window. 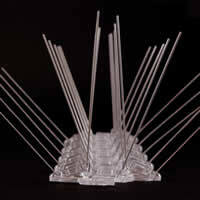 Alternatively, anti-roosting spikes can be installed directly onto the tiles of the roof. The area that will need to be covered is approximately 12 inches from the side wall of the dormer. Once the overhang is protected pigeons will move elsewhere. Be aware, however, that the birds may move to other more sensitive areas of the property once excluded. It is extremely common to find pigeon nests with young in situ when installing deterrents and due to the fact that pigeons breed all year around there is never a safe time to do this. If you do find a nest and cannot wait until the chicks are fledged you should first try to find a wildlife rehabilitator in your area who may be able to remove the chicks and take them away to be hand-reared. Otherwise, just monitor the nest until the squabs (pigeon chicks) have fledged and then install the deterrents. A list of wildlife rehabilitators can be found at: http://www.veggies.org.uk/acd/europe/uk/rescue/rescue.htm. 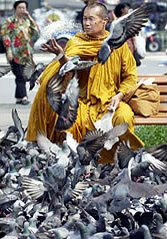 It is a misconception that pigeons are capable of spreading disease to human beings. All wild birds (including garden birds) have the potential to carry and pass on diseases to human beings and indeed other birds or animals, but the likelihood of this happening is virtually zero. To put the risk into perspective, caged birds are far more likely to pass on a disease to a human being than a pigeon or any other wild bird. In fact, it is a commonly held view that salmonella, one of the diseases associated with pigeons, is far more likely to be contracted by human beings through eating intensively farmed supermarket eggs or chicken than through contact with wild birds. 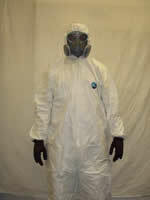 pigeon excrement for long periods without the benefit of protective clothing. There has only been one case, worldwide, of a person dying from direct contact with pigeon excrement and this was a lady in the Netherlands who had a severe allergy to it and died as a result of a massive allergic reaction when coming into contact with a small quantity of it. Common sense measures, such as wearing gloves, overalls and a face mask when installing deterrents, are all the precautions that it is necessary to take. There is rarely a need to use a specialist disinfectant or cleaning agent when clearing pigeon excrement and preparing surfaces in order to install spikes – hot soapy water with a splash of household disinfectant is all that is required.